Often refereed to as the ‘champions race’, the WS Cox Plate has a rich history of top-class winners and is widely regarded as the world’s greatest weight-for-age event. The 2040-metre race for three-year-olds and up is held October at Moonee Valley in Melbourne and comes with a purse of AUD $5 million. Betting on the Cox Plate has never been easier and our recommended bookmakers have excellent odds on all the biggest markets. BetEasy has already framed a market for the October feature and is offering both win and place bets at fixed odds. The bookie’s futures markets for horse racing are extensive and offer some of the best value around. 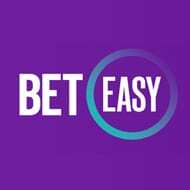 Simply click into the racing section at BetEasy.com.au, select future racing, and the full list of upcoming feature races will be on show. Sportsbet has an easy-to-use website where finding the betting option you want is effortless. The bookie’s market for the Cox Plate includes not only nominated runners, but potential runners that will likely drop in price once nominated. Sportsbet has covered a wide variety of international horses and now is the best time to place a bet on the Cox Plate. With a Cox Plate market already on display, Bet365 is streets ahead of most other bookmakers when it comes to horse racing futures markets. The global bookie is known to offer very competitive prices and exclusive racing specials as the race draws nearer, so open an account and keep an eye on the value racing markets on offer. The Cox Plate was first run in 1922, when it was won by Tangalooma. The 2040-metre weight-for-age race is considered one of the toughest in the world and it usually takes a champion race horse to win it. Might and Power, Sunline, Northerly, Makybe Diva and So You Think are just a handful of champions to have their names etched on the trophy in recent times. Rising above all others are Kingston Town and Winx, both three-time winners. The race is held at Moonee Valley, a tight-turning track in Melbourne which is a great amphitheatre in which to watch horse racing. Winx’s blistering time of 2:02.94 in 2017 set a new benchmark at track and distance, beating her own record-breaking run of 2015 by four hundredths of a second. The Cox Plate is run at Group 1 level – the highest in thoroughbred racing. Between the years of 1999 and 2005, it was part of the Emirates World Series Racing Championship. Other races in this series included the King George VI and Queen Elizabeth Stakes at Royal Ascot, Japan Cup, Dubai World Cup, Arlington Million, Hong Kong Cup, Canadian International Stakes, Grosser Preis von Baden, Irish Champion Stakes, Breeders’ Cup Turf and the Breeders’ Cup Classic. The Cox Plate has a good record with race favourites, which hold an overall win percentage of 41 per cent as of 2017. Horses paying even money or better win at a rate of 70 per cent. The shortest-priced favourite to win was Phar Lap in 1931, when the great horse started at -1428.57. Recent favourites to win include So You Think (-200) in 2010, Makybe Diva (+100) in 2005, Northerly (+300) in 2002 and Sunline (+138) in 2000. Winx was favourite for each of her three victories, paying +360 in 2015, -142.86 in 2016 and a mere -1000 in 2017. Not all winners have been at such short odds, however. Irish bolter Adelaide paid +700 in 2014, a year after maiden runner Shamus Award won at odds of +2000. Since 2004, six winners have paid double-figure sums.